This is not a regular car showroom with usual stuff. Al Ain Class Motors is world’s No. 1 automobile trading company that deals with super cars. Just name a car, you will get there. It’s a magical destination for car fanatics and delight for the bystander. From Bugatti Veyron Super Sports to Lamborghini Aventador, from Pagani Zonda, Maybach Landaulet to Hennessey Venom GT Spyder, this showroom located in Dubai showcases all the major super cars. 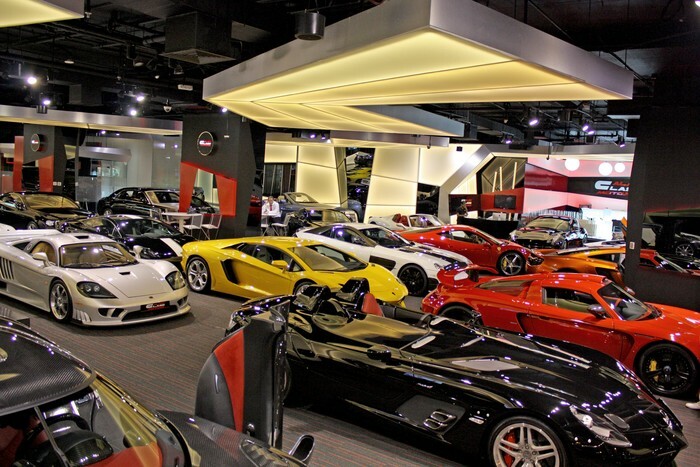 A perfect place for super car enthusiast and an ardent buyer, Al Ain Class Motors is the Mecca of super cars. Al Ain Class Motors takes individual request and their motto is to satisfy their customers. Abdullah Al Ketbi is the owner of this £80 Million dealership. This man has access to world’s most rare cars and if you visit Dubai next time, don’t forget to check out this exclusive showroom, which is no less than an automotive museum. This dealership is in business for 20 years trading in luxury and exotic cars. Both new and pre-owned vehicles are available here. The owner believes in treating every customer with equal respect because according to him, you never know who will buy what. He mostly follows his instincts while showing a car to his clienteles. There’s no place on earth that can compete with this place hence Al Ain Class Motors unsurprisingly becomes the definite leader in the supercar dealership network in the world.